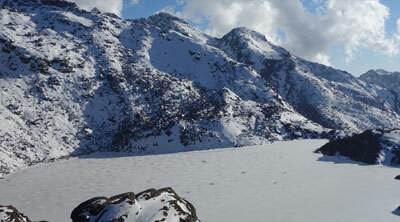 Langtang is a spectacular valley situated in a Langtang national park 1710 sq. km. of the park extends over parts of Nouakchott, Rasuwa, and Sindhupalchok districts in the middle of the Himalaya to the north of Kathmandu, the bordering of Tibet. The park represents a meeting point between Indo-Malayan and Pale arctic realms, and holds a rich biodiversity. 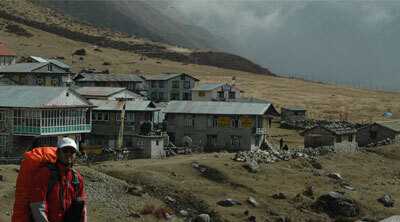 The Langtang Helamby region trekking contains a wide variety of climate zones, from subtropical to alpine zone. About 25% of the area is covered by forest, offering you the opportunity to experience the varieties of ethnicity, wildlife, flora and fauna. People living in this area are mostly Tamangs and Sherpa's and in Langtang village Tibetan origin people following the Tibetan language and culture. The temperate zone 1500 to 4000 meters is covered mainly by Sal, Chirpine, oak, Nepalese larch, different species of Rhododendron such as R. arboretum, R. barbatum, R. campanulatum, and R. lepidotum (scrubs), birch, silver fir, Sorbus microphyla. Langtang’s expansive high meadows provide summer habitat for numerous ungulate species such as musk deer and Himalayan Tahr. The area is also well known for its populations of red panda, Himalayan black bear, snow leopard, wild dog, Ghoral, Serow and more than 250 species of birds. Autumn is the best time to visit the state. The weather is also relatively dry except January- February when one may come across snow. By April- May bursts of red, pink, and white rhododendrons stretch into towering canopies of fir and oak forests. From June to august, skies are heavy with monsoon rains. Three main trekking routes; a. Langtang Valley 7-8 days, b. Helambu 5-10 days and c. Gosaikunda Lake 6 days cover much of the Langtang National park and the southern Helambu region. 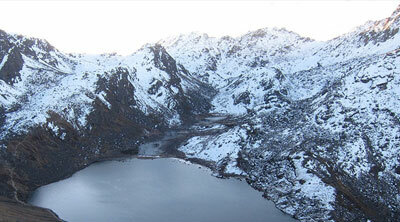 Langtang and Helambu regions are connected through the Lauribina La pass and Ganjala Pass. All routes have the facilities of the locally operated teahouse. 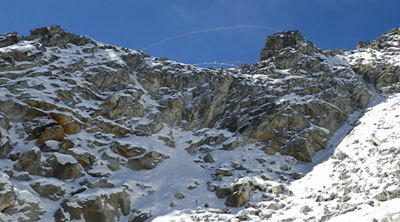 Ganjla Pass is the technical high pass organizing few nights in camp. 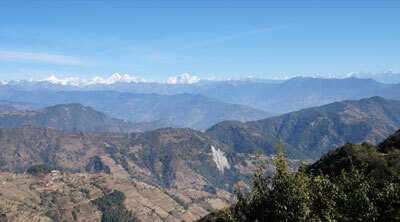 The trek offers a choice of moderate to more difficult hiking with duration ranging from three days to three weeks. Explore the trail side wilderness, near Ghora Tabela and Kyanjin hill top view point (Kyanjin), and cultural heritage sites, notably in Langtang village, Gosaikunda, Melamchighyang, Tarkeghayang, and Shemathang will be well rewarded. One has to be self sustaining to venture remote areas of the this area such as Panch Pokhari (five lakes), east of Helambu, the toe of Langshisa glacier, and upper level valley from Kyanjin, and over the challenging Ganja La pass into the upper Langtang Valley. Gosaikunda Lake attracts thousands of Hindu pilgrims every August during the festival.